Our 2014 tournament is to be held at Peninsula Golf & Racquet Club and Craft Farms Golf Club. Peninsula Club will host us on Tuesday, 4/29. Peninsula was designed and built by Earl Stoneundefinedthe wizard of the South. The Craft Farms courses (Cotton Creek & Cypress Bend) were designed by Arnold Palmer. We’ll play Cotton Creek on Wednesday, 4/30, and Cypress Bend on Thursday, 5/1. The tournament is played over three days (54 holes). A two-day division (2 days--9 holes each day) is available, allowing for a local excursion, or more time on the white sands at Perdido Beach Resort. Only competitors with a verified handicap index are eligible for awards. 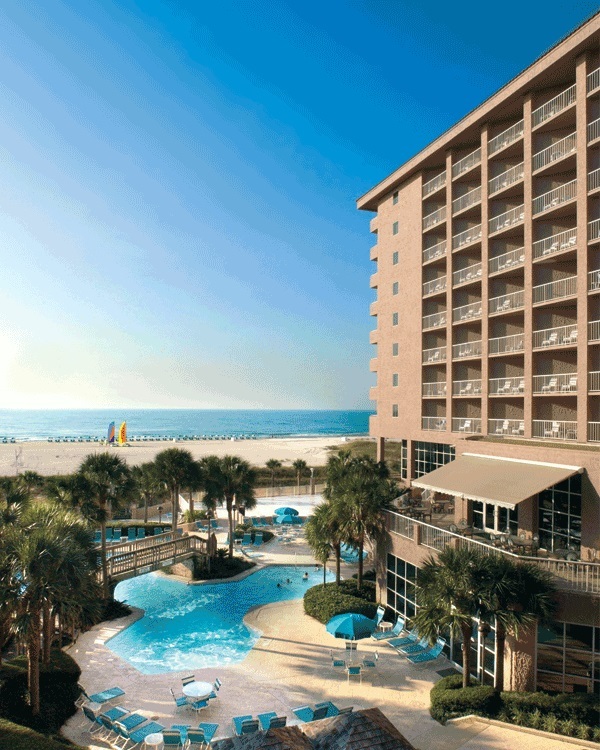 Perdido Beach Resort (The Beach): $169 plus tax & fees. The rates are valid for 3 days prior and after the tournament. To reserve rooms, call 1-800-634-8001, identify as a USGFR participant, using the booking ID #9463. The 2014 event is hosted by the Foley Rotary Club. We look forward to another terrific event with y’all there.